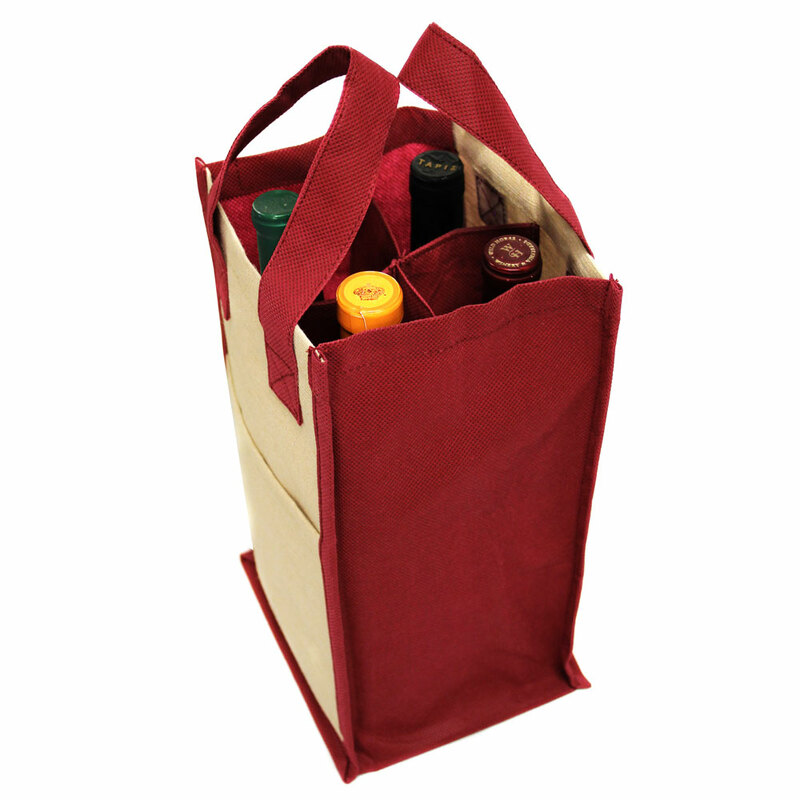 This eco conscious wine tote is the perfect gift bag to compliment any wine gift giving. 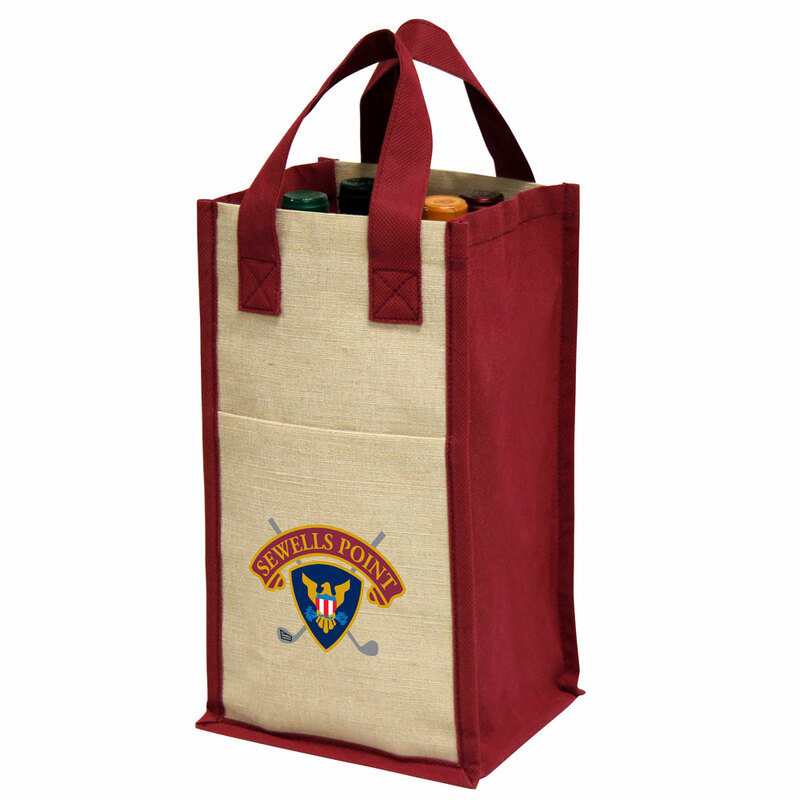 Made of eco friendly jute mixed with nonwoven fabric. 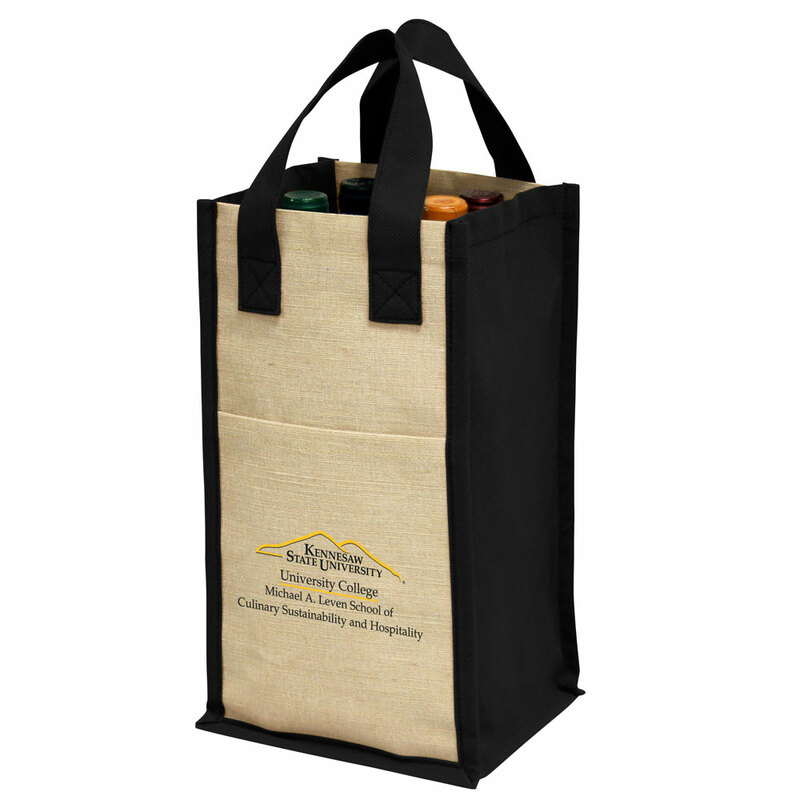 The wine bag comes with four partitions with a sewn in divider in the middle. Two of the partitions can be easily moved aside to accommodate larger bottles. The front of the tote has an open pocket.